Papers: 1987-1988, 4 cubic feet. The collection contains bill files, correspondence, invitations, and schedules of Lucille Roybal-Allard from her tenure in the California state assembly..
Papers: 1989-1990, 1 cubic foot. 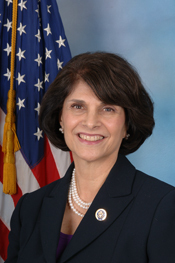 The office files of Lucille Roybal-Allard contain chronological correspondence and schedules for appearances from her tenure in the California State Assembly.